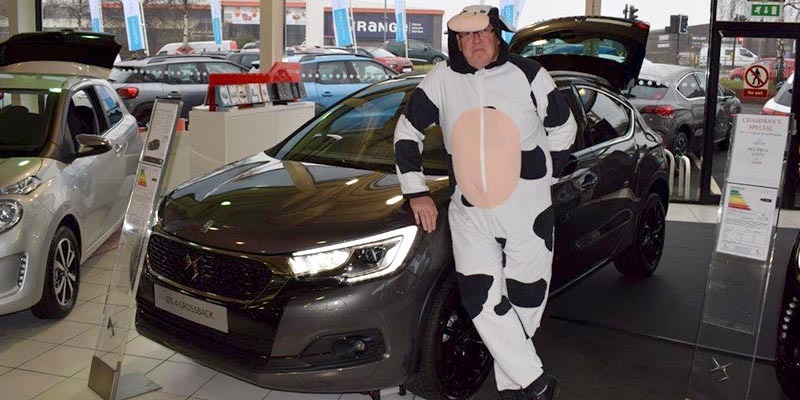 Steve Bibby, Sales Executive at BCC Citroen Bolton, took part in the Queens Court Hospice fundraiser on the 23rd December. 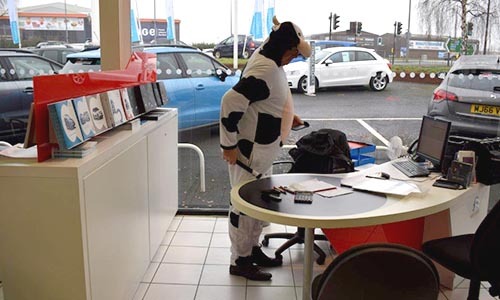 Steve spent the day dressed as a cow, serving customers and enjoying a different kind of challenge in the work place. 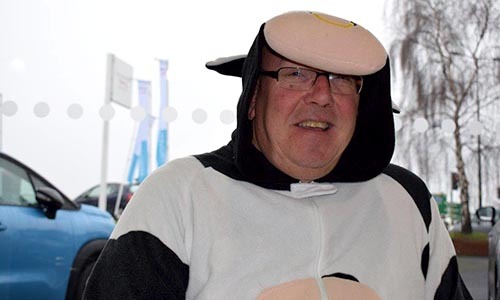 Sadly, after losing 2 members of his family to devastating illnesses, he wanted to make awareness of the Queens Court Hospice and their hard work.